Children's dance classes are paid for in termly blocks, in advance. 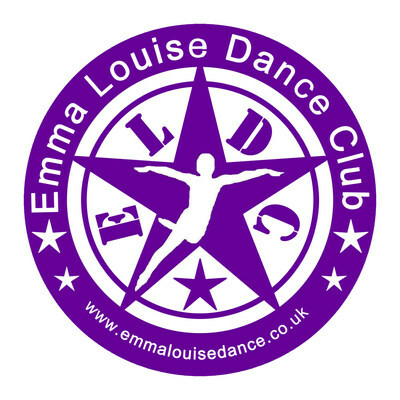 A termly membership fee is charged for each child attending Emma Louise Dance Club. We offer a very competitive pricing system for our classes, including multiple class and sibling discounts. We do our best to keep our prices affordable, in fact, our class fees have remained the same since 2012! The number of weeks per term is approximately 7-12 weeks depending on when the school holidays fall. Children's dance classes take place during the school term and stop in the school holidays. Classes stop for some bank holidays when schools are closed. Due by Saturday 27th April 2019. Ways to Pay We accept payment by bank transfer and cash in class on the first week of term. We do not accept cheques and no longer accept payment for membership and class fees via Paypal. New Pupils Trial dance classes are £2 per child, per class. This is paid in class when your child attends the trial dance class. After your trial class you will be send an email, informing you about membership and class fees. Membership and class fees are paid in cash in full at your child's next lesson (within 7 days of the trial class). Once you have completed enrollment you will have the option to make future payments via online banking. Rolling membership. Once your child has enrolled you are not required to re-book each term. Your child's space is secured until you give us notice to leave. Access to ELDC Members Area on the website. Pages include diary dates, shop, ELDC Starlets page, uniform, exam & show information, practice & performance tips and gallery. Quality uniform at low prices. No postage & packaging fees as you collect in class saving you time and money. Access to ELDC Members Closed Group on Facebook. We look forward to welcoming you to Emma Louise Dance Club dance family. International Dance Rewards Programme - All ELDC members have the opportunity to work towards International Dance Reward certificates and badges. This inovative scheme rewards each and every achievement along a child’s journey in dance without the need to sit a dance exam. Children are assessed by the dance teacher in class and rewarded with a certificate and badge once they have completed each level. IDR badges and certificates are presented to children in the end of term performance and presentation lesson. We feel the scheme is an exciting way to reward every dancer for dedication, performance and passion!